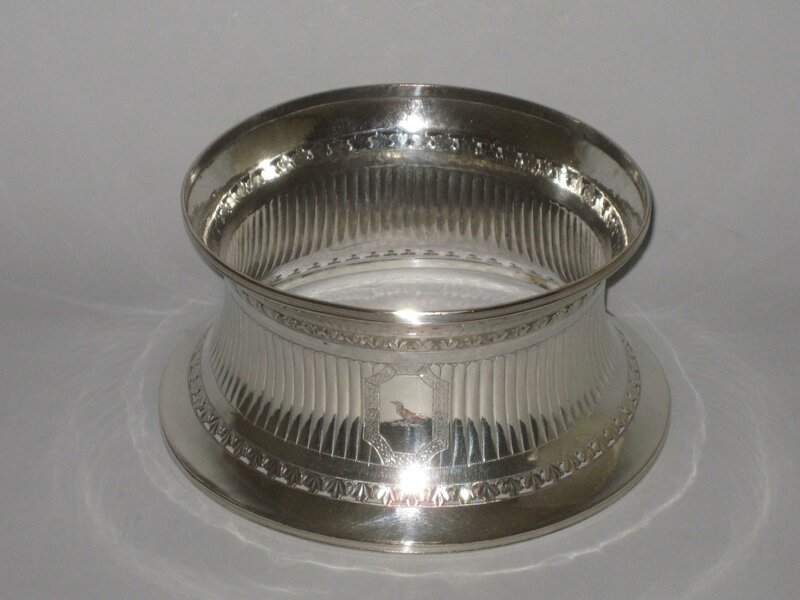 AN OLD SHEFFIELD PLATE SILVER DISH RING. GEORGE III, CIRCA 1785. Of waisted circular form, fluted waist, pierced foliate bands and engraved crested cartouche. Illustrated in Crosskey, G., Old sheffield Plate, Treffry Publishing, 2011, figure 51, page 53.